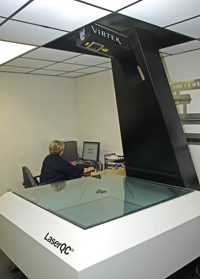 of-the-art inspection equipment, and constant upgrading in our quality control area. Our quality assurance begins with the receipt of raw materials and is adhered to throughout the manufacturing process until the final product is shipped. 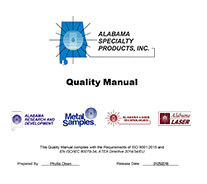 As a division of Alabama Specialty Products, Inc., Alabama Laser operates under the Quality Assurance program of Alabama Specialty Products, Inc.